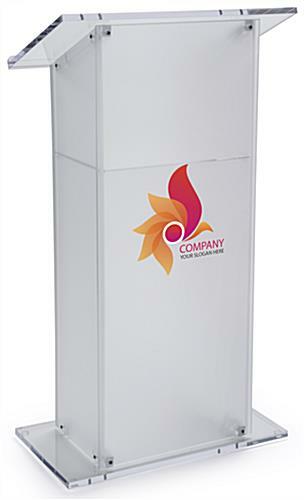 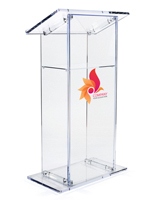 These custom branded acrylic lecterns come with a logo of your design, printed in full color on the frosted front panel. 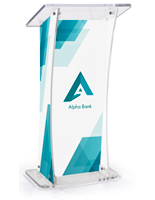 Simply download our template and send in your graphics to have it imprinted in a 14" x 14" area. 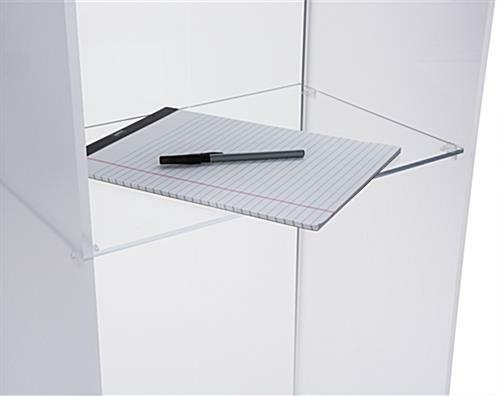 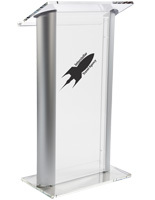 In addition, the branded acrylic lecterns come with storage shelf and an angled reading surface for holding both supplies and notes. 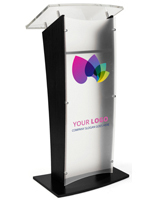 Promote your company at a trade show or represent your company at a meeting with your graphics front and center. 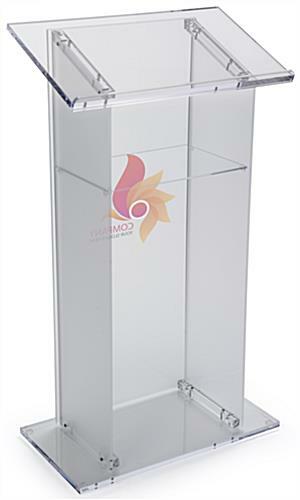 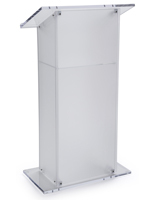 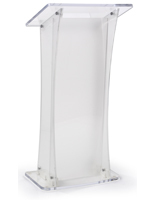 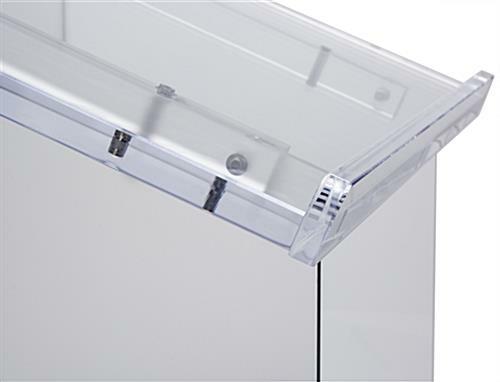 The frosted acrylic lecterns with a shelf also include a sturdy base with rubber feet that won't scuff or damage floors. 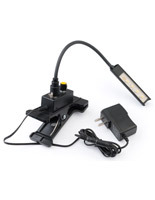 Represent yourself or your business with professionalism at any trade show or commercial event. 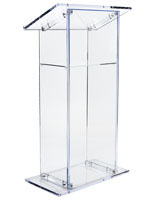 26.8" x 47.5" x 15.0"